The shower was due to peak in the UK on Saturday night, in a display also visible in other parts of the world. Stargazers took to social media to say they had seen the display, in which 100 meteors had been expected an hour. The Perseid meteor shower occurs every July and August as the Earth passes debris from the Swift-Tuttle comet. 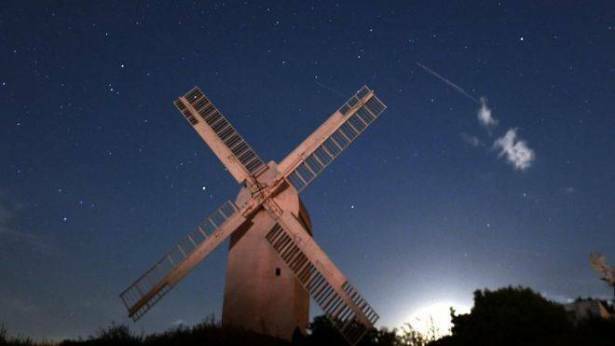 Former England cricketer Paul Collingwood was among those who attempted to spot the meteors. Writer Robert Macfarlane‏ said the "eye-searing silver sky-scratches beat any firework display I've ever seen". However, not everyone spotted the shower so easily. BBC political correspondent Chris Mason tweeted that he had tried to view the shower, but missed many of the shooting stars. Experts had warned that the Perseids may have been harder to see this year as the Moon was three-quarters full. But Met Office forecaster Marco Petagna said the weather had given stargazers a good opportunity to see the meteor shower. He said: "There were some good cloud breaks, so many areas would have had a good chance to see them during the early hours. It would have been pretty good viewing." 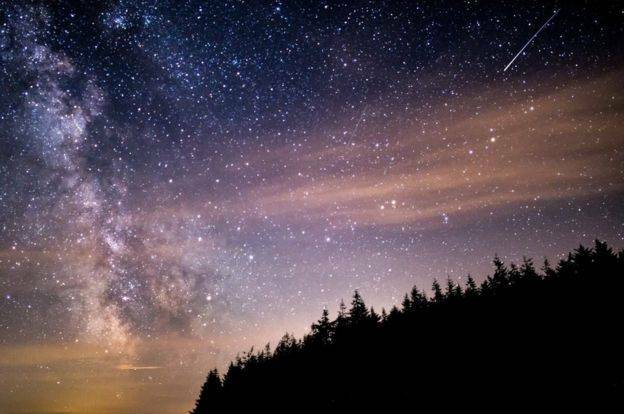 Robin Scagell, vice president of the Society For Popular Astronomy, added that although the intensity of the display had peaked on Saturday (12 August), the meteor shower would still be visible until 20 August. He said: "For the next few days you could expect to see some - but decreasing numbers. So tonight will be probably the best chance of seeing them if you missed them last night." The best place to see the meteors was under a clear sky, away from built-up areas, he said.